Better Boys in containers: fruit is small, what should I do? Better Boys Grown in Containers: What To Do About Small Fruit? I am growing Better Boys in 5-gallon buckets. I have had good success. My plants are about 8 feet tall. I have pinched off the suckers but am wondering if I need to do any other pruning. My plants have gotten fairly bushy and now my tomatoes are pretty small. Can I do anything to force the tomatoes to grow larger? I have had some baseball size and larger but most now are about half that size. First things first … are your Better Boys getting enough nutrients? 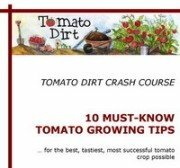 Congratulations on growing healthy tomato plants! You didn’t mention what kind of fertilizer you’ve used with your Better Boys. But at 8 feet tall (big for even a Better Boy, especially in containers) and lots of leafy growth, it sounds like they’ve been on a solid watering schedule and have had some good food – especially nitrogen. Most fertilizers are a combination of the three nutrients commonly fed to plants: nitrogen, phosphorus, and potassium (referred to as the “N-P-K ratio”). A commercial fertilizer’s analysis is listed on the label in a three-number series. Nitrogen encourages leaf growth, which is why fertilizers with higher ratio of nitrogen (the first of the three numbers) are an optimum choice for lawns and grasses. But in tomatoes, excess leaf growth discourages blossoms and fruit. Phosphorus (the second number in the N-P-K ratio) encourages flowering. Potassium (the third number) is necessary for healthy fruit development in tomatoes. From your description, you may want to try fertilizing your tomatoes in pots with a balanced tomato fertilizer like Miracle Gro for Tomatoes (18-18-21) or Tomato Tone﻿ (4-7-10) – these have higher amounts of potassium than the other two nutrients. Feeding your Better Boys is especially important for container tomatoes. Regular watering means nutrients leach out of pots. 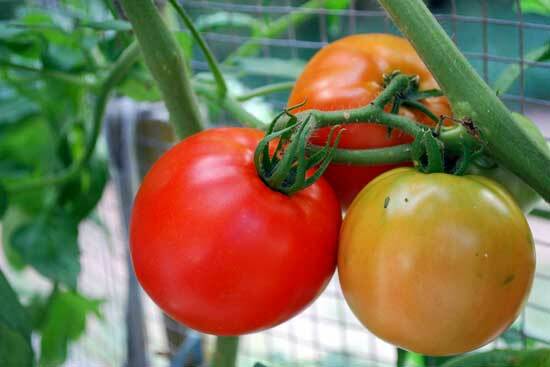 But if you Missouri prune now and then feed your tomatoes every 7-10 days with a balanced fertilizer, you might be able to redirect the plant’s energy to the fruit – and give the plant enough food to help tomatoes reach their maximum size.